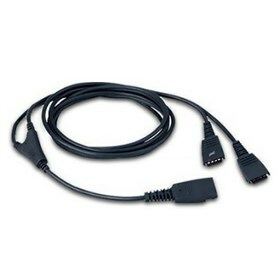 The GN Netcom 27352101 supervisory quick disconnect splitter cord provides headset connection for supervisor monitoring. The Jabra Cord Supervisory has many exciting features for users of all types. The Jabra Cord Supervisory is sold as a Brand New Unopened Item.